Those who first meet Matt Benjamin, a 2017 candidate for Boulder City Council, might wonder at first if the local astrophysicist is taking a wide turn in life by running for local office. But Benjamin, age 35, is passionate about this race and his top issues, as well as a chance to bring his version of scientific rigor and nonpartisan balance to at least one seat on Council. “I’m running because it’s our generation’s time to be the change we envision for this world. What we’ve seen over the last few years from the federal level and the state level, in many ways, has turned off a lot of the younger people from engaging in any of the discourse, or in voting, or in how to be stewards of the community. Instead of turning off, I think we have to dive in and really commit ourselves to affecting that change,” said Benjamin. Benjamin grew up in Malibu, California, but believes he was never meant for the L.A.-area life and enjoyed spending time with family in central Idaho, where he fell in love with the wilderness and learned how to ski. He came to Boulder in 2001, and graduated from the University of Colorado with degrees in astronomy and astrophysics in 2005. He went on to work for about 11 years with Fiske Planetarium at CU-Boulder (leaving in Jan. 2017), most recently as Education Programs Manager, which involved managing students and teaching them how to be effective educators, and taking on marketing and business management responsibilities since the planetarium had bills to pay. But while Benjamin has been able to live in Boulder with his wife and son, he watched as friends from his general age group had to leave—even certain couples with two strong incomes—because they couldn’t justify the cost of housing. As a result, housing issues are prominent in his campaign. In his opinion, the city has actually done a good job with affordable housing for lower-income residents, but not for the middle-income earners, and overall not enough to create a truly inclusive community. Benjamin noted that the city ought to consider density as a component of its housing strategy, but added that it also might need to resist density in certain instances. He said dense urban living—think attached apartment or condo life—does not work for everyone, including the couple with kids and perhaps pets that might need three bedrooms and a small yard. However, with average single-family home prices in Boulder near $1 million, families might need to seek that house in one of Boulder’s neighboring communities. When asked about several of Boulder’s growth management initiatives of past decades—such as the Blue Line, height limitations, or the Danish Plan—Benjamin said they have “absolutely been pillars of our community,” yet should be open to scientific study to see if they could be changed or if they need to stay in place. He used the upcoming process involving redevelopment of the old Boulder Community Hospital site as an example of how height limits could be part of the conversation. “Maybe we find out that we can have a massive impact on lowering the price of commercial space for small businesses, those mom-and-pop shops, and some really good affordable housing, by going only 10 feet over. I’m not saying that’s what I support, but you never know what we’ll find without studying the impacts, and maybe we’ll find we get no value by increasing height limits,” said Benjamin. Like many other candidates, energy, climate, and transportation are primary issues for Benjamin, and in some cases the issues blend together. He is a strong proponent of the likelihood of a coming transportation revolution, including electric and autonomous (self-driving) vehicles, and for illustration brought up that 2017 is the 10th anniversary year of the smart phone—a device that most Americans now take for granted. He suggested the changes will necessitate a revamping of Boulder’s recently adopted Transportation Master Plan, increases in availability of electric vehicle charging stations, and even re-thinking of the need for new parking spaces. “The exponential growth and usage of the smart phone is very much the path that electric and autonomous vehicles will follow in the next 10-15 years,” said Benjamin. Regarding Boulder’s efforts to create a municipal electric utility, Benjamin said he supported it and voted for past ballot initiatives in favor of moving forward, but has since grown “increasingly skeptical” of the muni. He mentioned that Xcel Energy has moved forward with actions and plans to increase its use of renewable energy, and that in his opinion more businesses are now adopting the moral and economic reasons to move toward renewables. In his opinion, establishing a muni could be difficult and expensive, and focusing on it too much could actually hamper Boulder’s ability to meet its climate and energy goals. “We’re 12-and-a-half years from our (2030) goal, and we’re behind the 8-ball. We haven’t done enough for local production, we don’t have enough rooftop solar, and we haven’t incentivized that like we should’ve been doing all along,” said Benjamin. He is making his first run for elected office, but has experience in dealing with various levels of government. He is currently a science advisor for a project to create the nation’s first Dark Sky Reserve in Idaho, which has involved working with the Idaho Conservation League, city and county governments, the U.S. Forest Service and Bureau of Land Management, and other stakeholders. 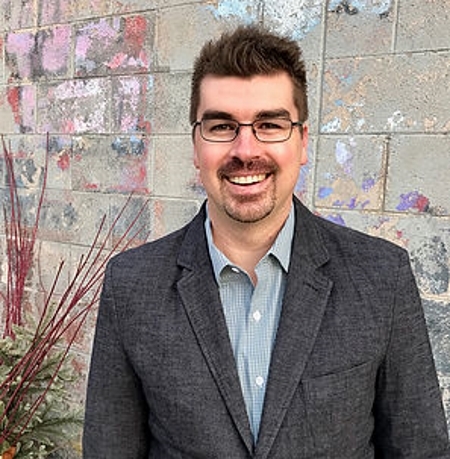 He is also the board president of the Growe Foundation, an organization dedicated to local school gardening programs and healthy foods, which means interaction with the Boulder Valley School District and the City of Boulder. Benjamin counts among his objectives greater inclusivity and improving the process of governance. He is in favor of changing Boulder’s City Council elections from an at-large system to a ward system, and is in favor of direct mayoral election as opposed to the nine Council members choosing the Mayor. He said he talks to people in his south Boulder area, and many say they don’t feel represented because they’re not from University or Mapleton Hill. Also, in his opinion the numbers of people involved as proponents of Ballot Issues 300 and 301 (neighborhood vote on land use regulation changes; impact fees on new development) in 2015 were symptomatic of a feeling that Council isn’t listening to the voices of neighborhoods. With political polarization leading to discourse in which “the voices on the edges are the loudest,” Benjamin hopes to encourage moderates to take part in the process by making sure they feel represented. “Give them a reason to vote, and to feel that their vote counts for something. Having trust in politics is something that should last forever, and that’s something that I want to help build,” concluded Benjamin. As of September 27, Benjamin had organizational endorsements from Access Marketing and Events, and 1517 Events.